Today sees the launch of a brand new title from SeaShip News, the leading Southeast Asia maritime portal. 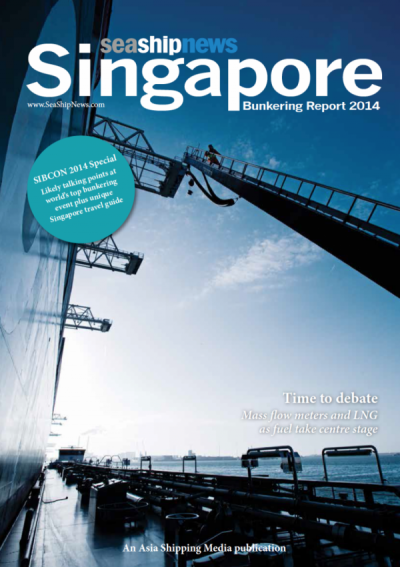 SeaShip News Singapore Bunkering 2014 magazine covers a vast range of issues relating to ship fuel, both in Singapore and worldwide. It has been launched to coincide with next week’s SIBCON, the world’s largest bunkering event. A deal struck with the organisers ensures every delegate will get this magazine as they register. Covered in the magazine are debates on the pros and cons of mass flow meters, due to be introduced shortly in Singapore, the rise of LNG as a ship fuel plus other fuel types under the spotlight. There’s a special on bunker saving technology, a look at how ECAs will reshape shipping, plus a unique travel guide to Singapore for the 1,600 plus delegates coming to SIBCON.